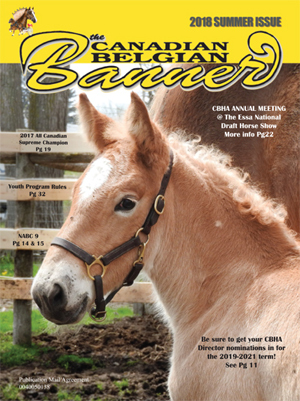 As voted, by CBHA members, at the 2018 CBHA Annual Meeting: ALL FILLY FOALS BORN ON OR AFTER JANUARY 1, 2019 ARE REQUIRED TO BE DNA TESTED AT TIME OF REGISTRATION WITH THE CBHA. 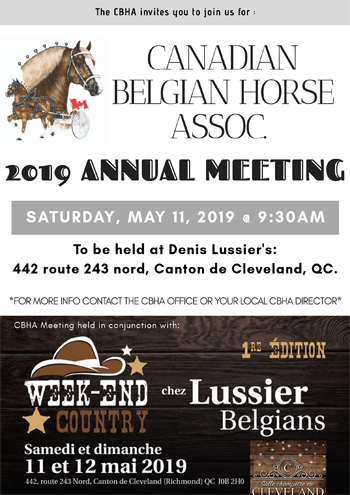 Send the horse's registration application and required fee (for both registration and DNA) into the Canadian Belgian Horse Association office. The DNA kit and instructions will be sent to you, either by email or snail mail. Please allow a minimum of 6-8 weeks for results. Any further questions call or email the CBHA Office. 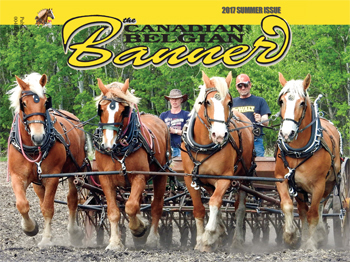 We want to see your participation in our upcoming issue of the Canadian Belgian Banner! Nov. 20, 2018 Advertisements, Photos and Stories are due! 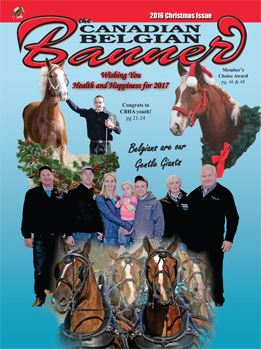 The 2018 Spring Banner is available now. The 2017 Christmas Banner is available now! Click Here! to access the All Canadian website for further info! The 2017 Summer Banner is available now! The 2016 Christmas Banner is available now. The 2016 Spring Banner is available now. 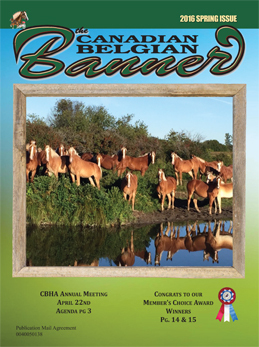 Check out our CBHA Shop! Great Gifts for the Belgian Lover in Your Family! 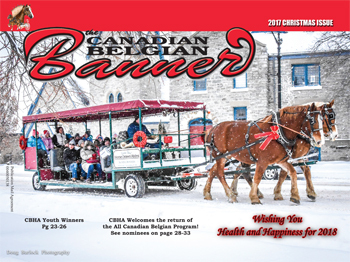 Click here to print your own copy of our CBHA Memorial Donation card. An additional $5.00+tax admin charge will be added to all VISA transactions made at the CBHA Office.